MOHANLAL'S NEXT BIG FILM - RELEASE DATE ANNOUNCED! Here are a few interesting tidbits from Mollywood and Tollywood, that you might have missed due to the Vivegam fever. 1. 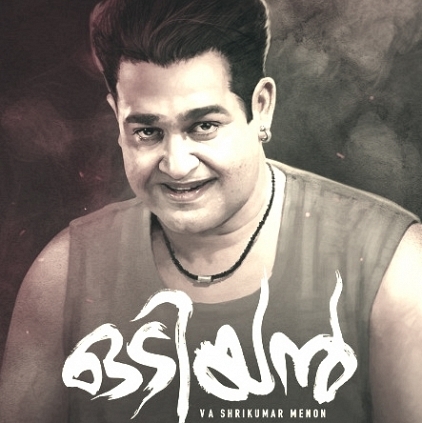 Malayalam superstar Mohanlal's Odiyan, directed by V.A.Shrikumar Menon, to release on 30th March, 2018, and it is said to be released on a grand manner in a wide number of screens. 2. Nagarjuna has apparently revealed that Raju Gari Gadhi 2, co-starring Samantha, will fully be ready by the second week of September. The film is being planned for a 2018 October Diwali release. 3. Trend Music South has snapped the audio rights of Dulquer Salmaan's Tamil - Malayalam bilingual, Solo, directed by Bejoy Nambiar. After the world of Rudra, now, the world of Siva's teaser will release on August 31st and the songs would release on 4th of September. Revealed: The 2 re-entry contestants are here! Its Massive! Vivegam Chennai box office: A new peak! This weekend's Bigg Boss elimination is here! People looking for online information on Mohanlal, Odiyan, Raju Gari Gadhi 2, Solo will find this news story useful.